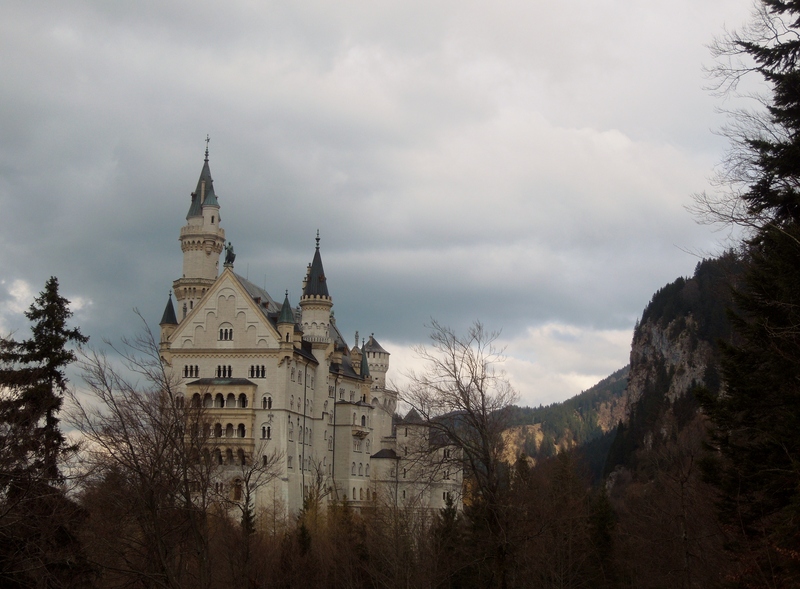 Around 2 hours outside of Munich, nestled in mountains above the town of Schwangau, sits Neuschwanstein Castle. 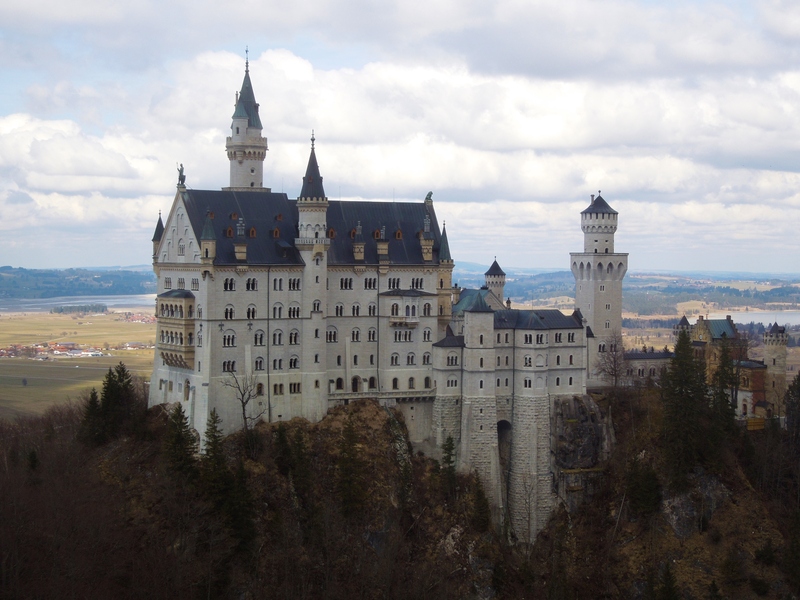 This castle looks like something straight out of a fairy tale (it was even used as the inspiration for Cinderella’s Castle in Walt Disney World!). 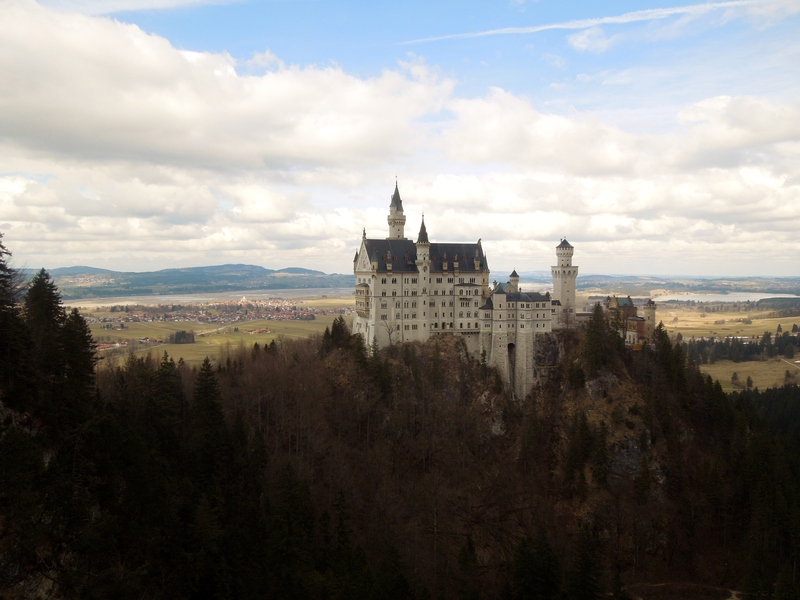 With a history as romantic as its location, a trip to Neuschwanstein is perfect for anyone with a love of history, architecture or who has a love of storybook worthy scenery. 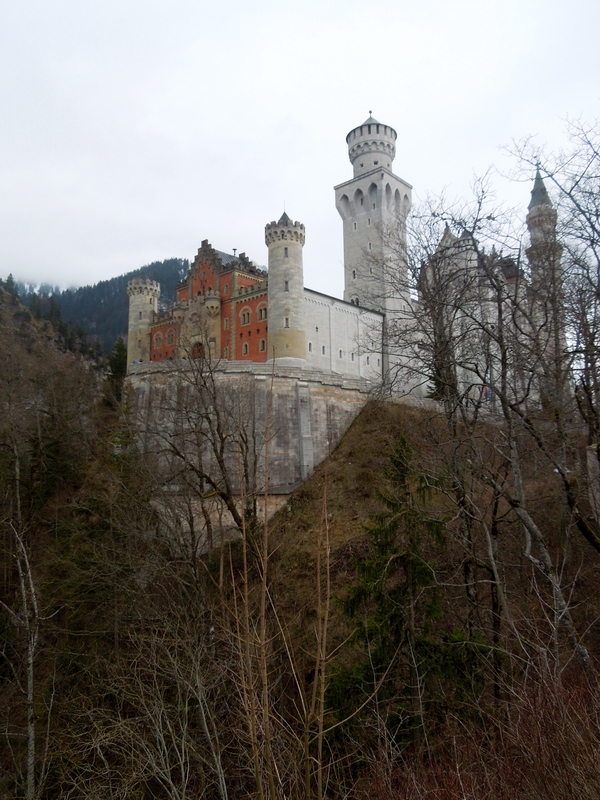 To visit Neuschwanstein, I decided to enlist the help of the pros and booked a guided tour through Viator. The tour met up bright and early at Munich Central Station (which was right across the street from my hotel…yes!!). And my goodness it was cold!! 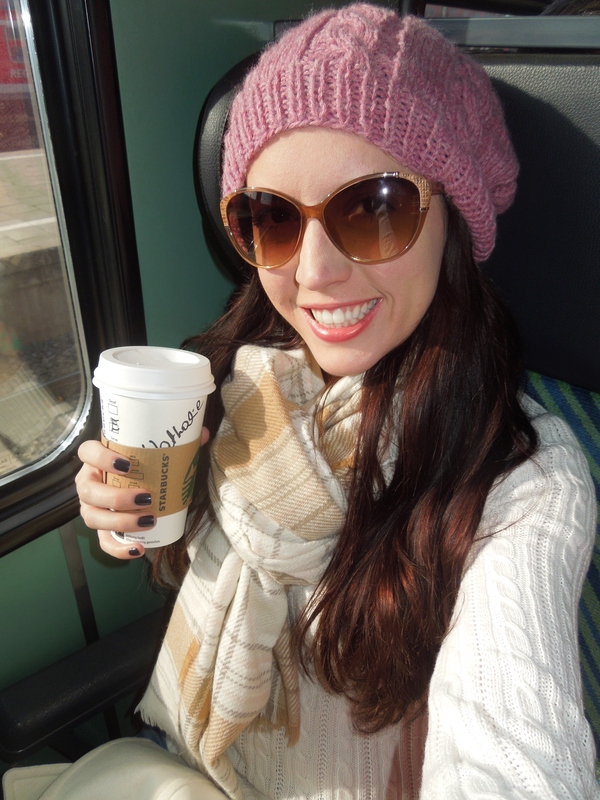 Luckily the tour left quickly, and coffee in hand, we all piled onto the warm train and settled in for our 2-hr ride. 2 hours might seem like a long time to sit on a train, but the ride was actually very pleasant. 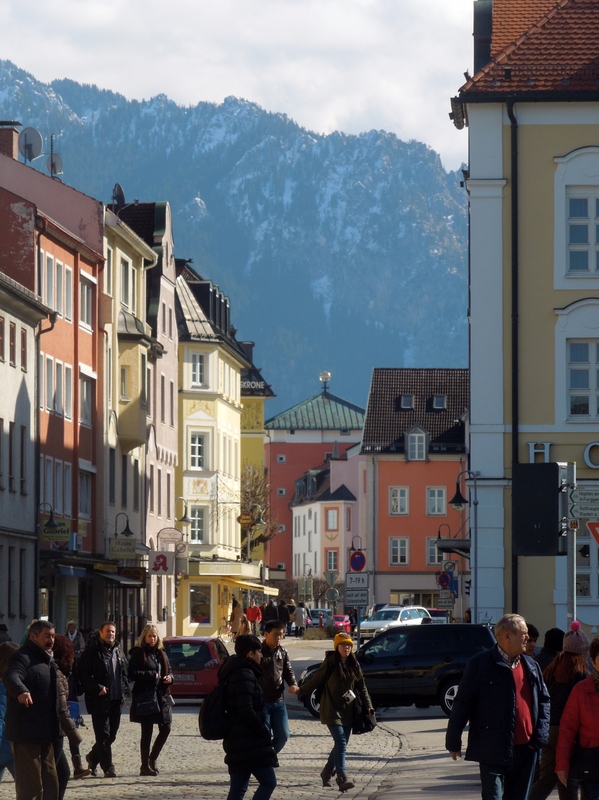 Our tour guide told us stories of Munich, the Wittelsbach Dynasty, King Ludwig II and Neuschwanstein, all while taking in the beautiful scenery of the Alps and southern Germany. 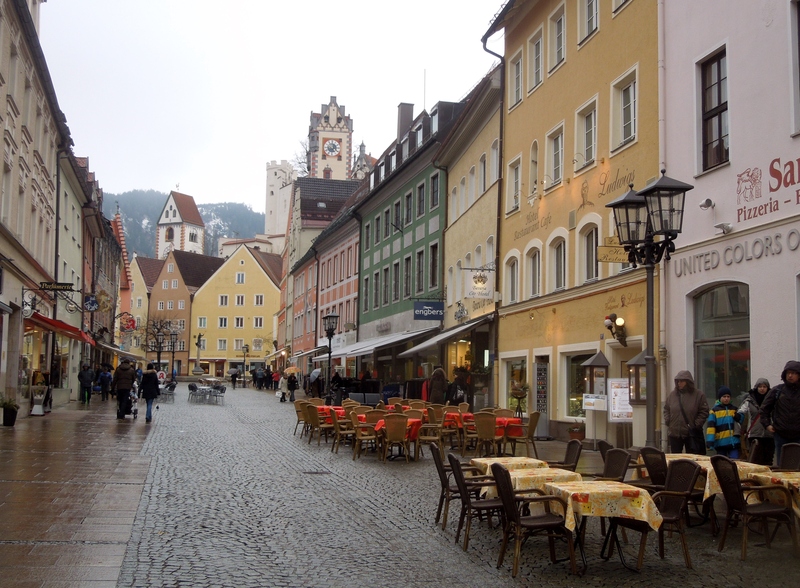 Before I knew it, we had reached the small town of Fussen. 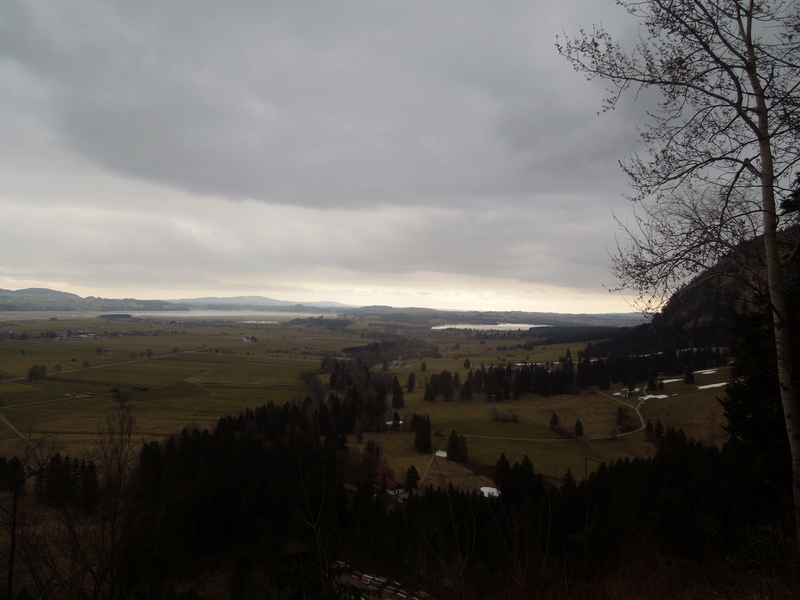 From there, we hopped on a bus that took us to Schwangau, where the castle is located. 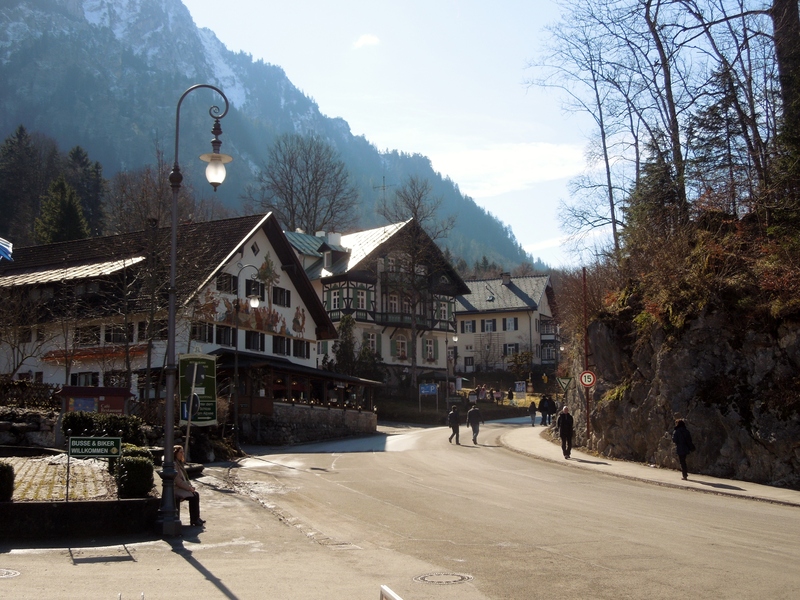 Upon arrival in Schwangau, we took a lunch break while our tour guide arranged the rest of our journey. 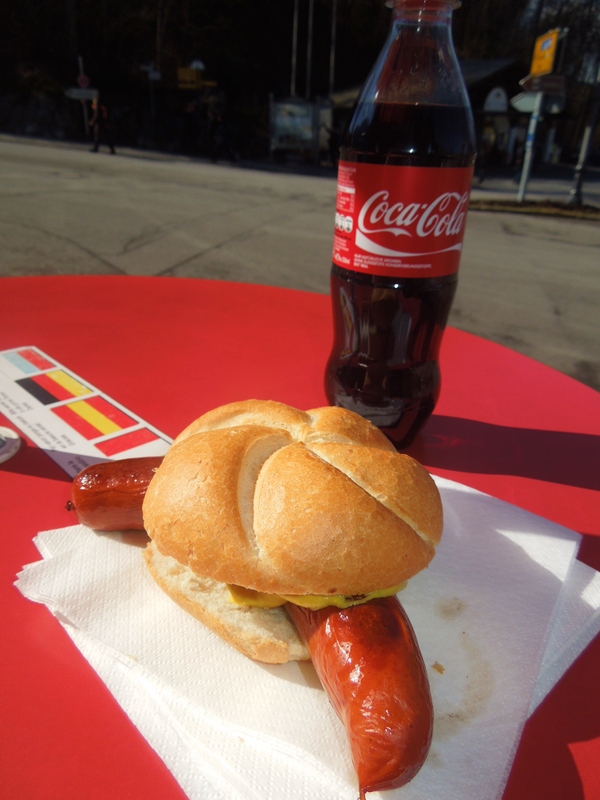 Yes, I got more bratwurst and German coke. I had formed a fierce addiction to those wonderful sausages. And then the journey continued on foot. 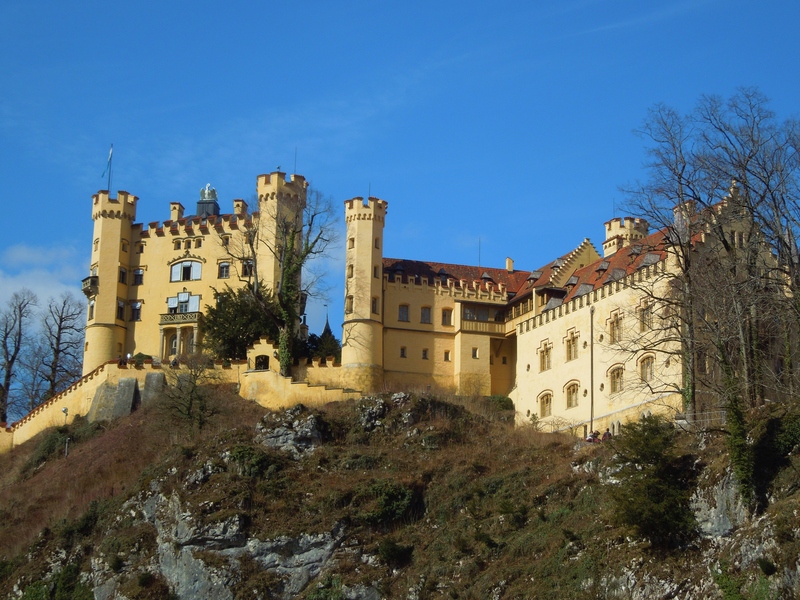 We walked through Schwangau, passing by King Ludwig II’s childhood castle of Schloss Hohenschwangau. 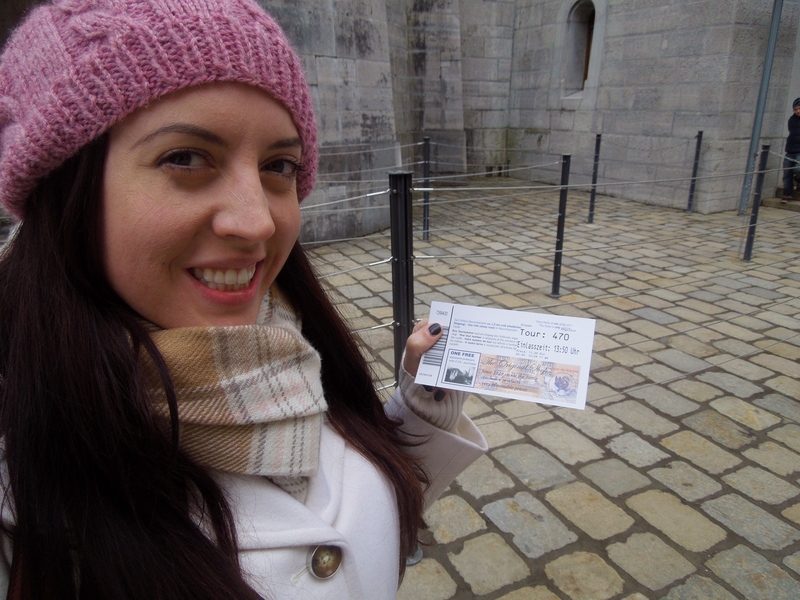 The walk up to Neuschwanstein is pretty fierce, so we each paid a couple euros to take a tram. 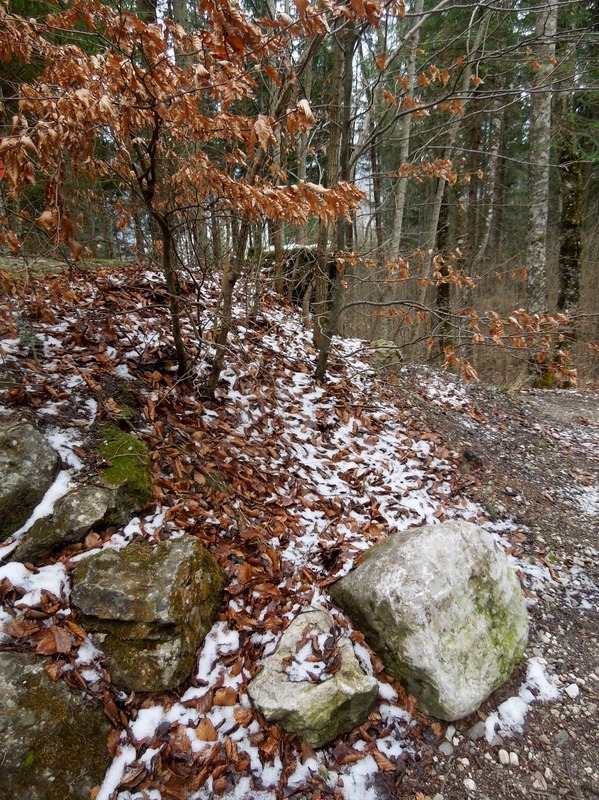 We stopped at Marienbrucke first, a small bridge stretching across Pollat Gorge that King Maximillian II (King Ludwig II’s father) had built as a birthday present to his mountain-climbing love, Marie. Those with a fear of heights might want to skip this one, as the gorge is a long way down. 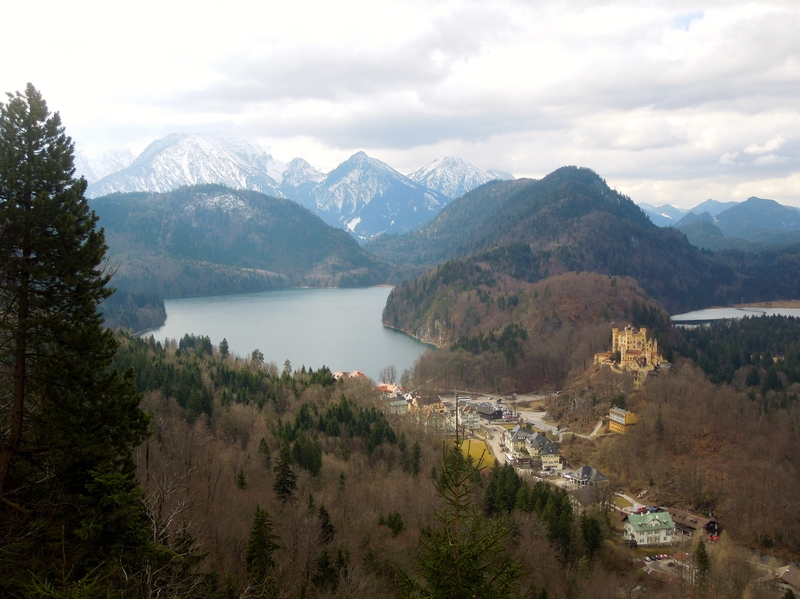 But the views of Neuschwanstein from the bridge are absolutely incredible, with rolling hills and small villages surrounding this magnificent castle. 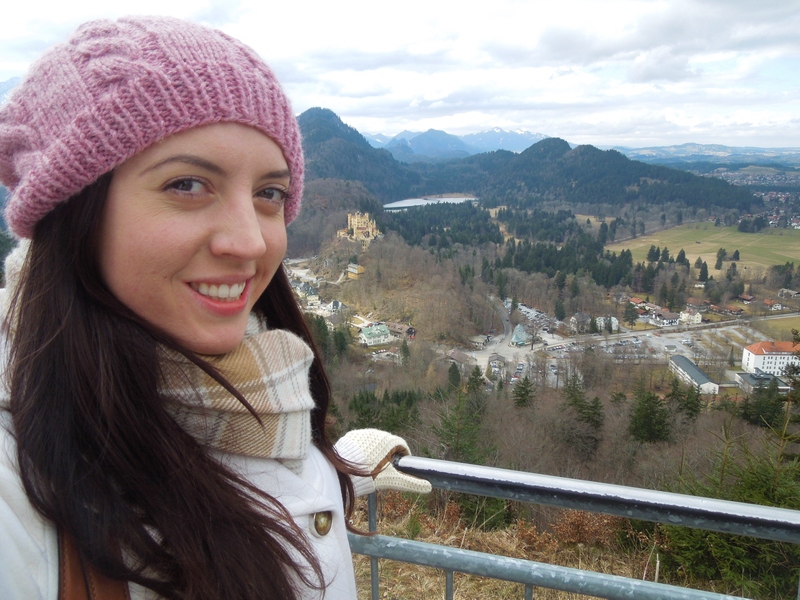 After taking in the panoramic views from the bridge, we continued on foot to the castle. There was still some snow on the ground, and it just added to the magic of the castle. As I’m sure you have figured out by now, this tour requires a TON of walking. You’ll definitely be wanting the comfortable shoes for this one. And then it was time for the guided tour. 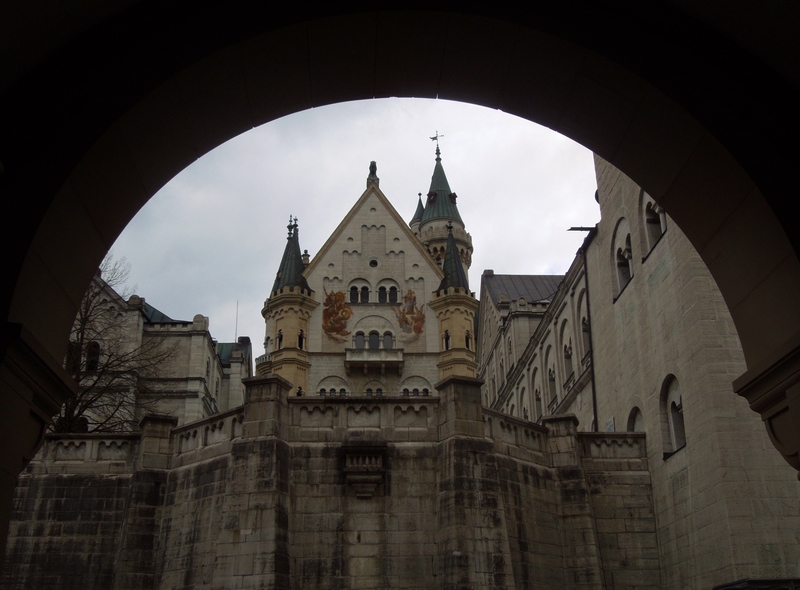 Neuschwanstein is absolutely gorgeous inside, and the decorative details are incredible. No photography allowed inside the castle though, so I don’t have any pictures of it. They wouldn’t have been able to do it justice anyways. “Mad King” Ludwig II was a shy dreamer with a vivid imagination and a tendency to isolate himself. He had visions of grandeur, and identified himself with the kings of the Medieval age. He was obsessed with the idea of a holy kingdom by the Grace of God over which he could rule as a true king, instead of the reality of just being a constitutional monarch with little ruling power. 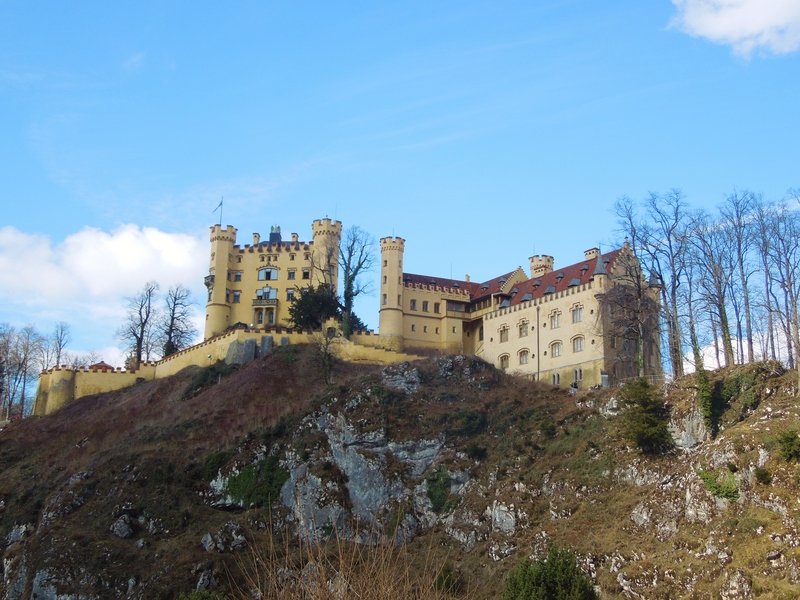 Ludwig II retreated more and more into a fantasy world where he could live the old-world, poetic life he dreamed of. 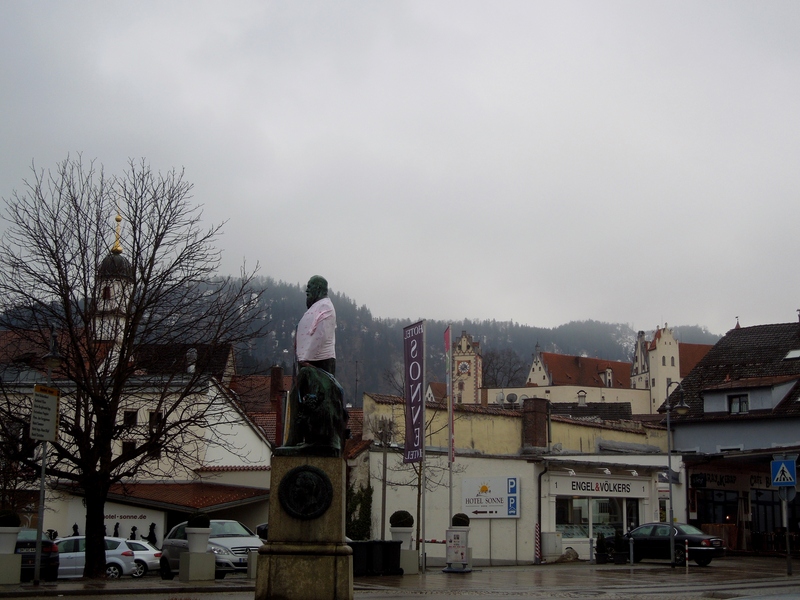 He spent less time in Munich, and sought a residence away from the hustle of city life. He wanted to build his own kingdom where he could be free to live in his world of fantasy, a world in which great kings still existed and resided in ornate and elaborate castles in the countryside. 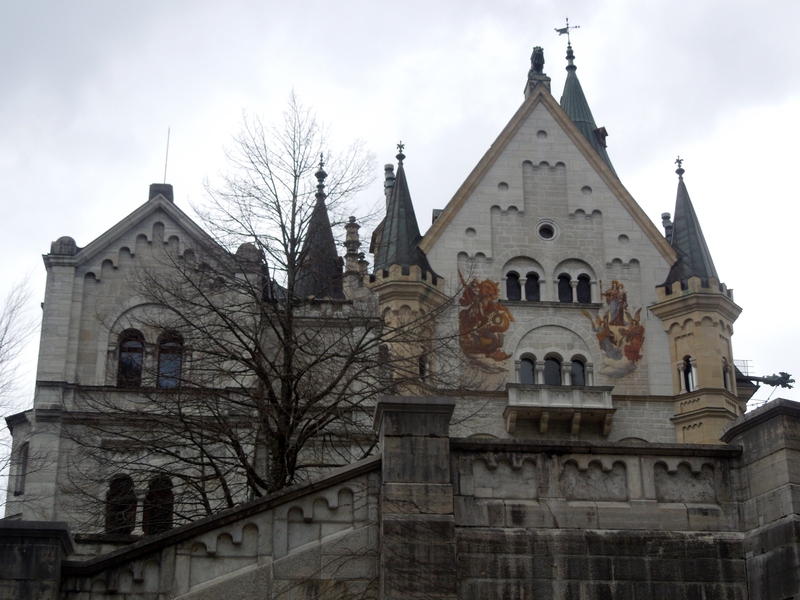 In reality, the castle construction took much longer than Ludwig II expected, and he was not able to move in until 1884, roughly 20 years after the original plans were drawn. 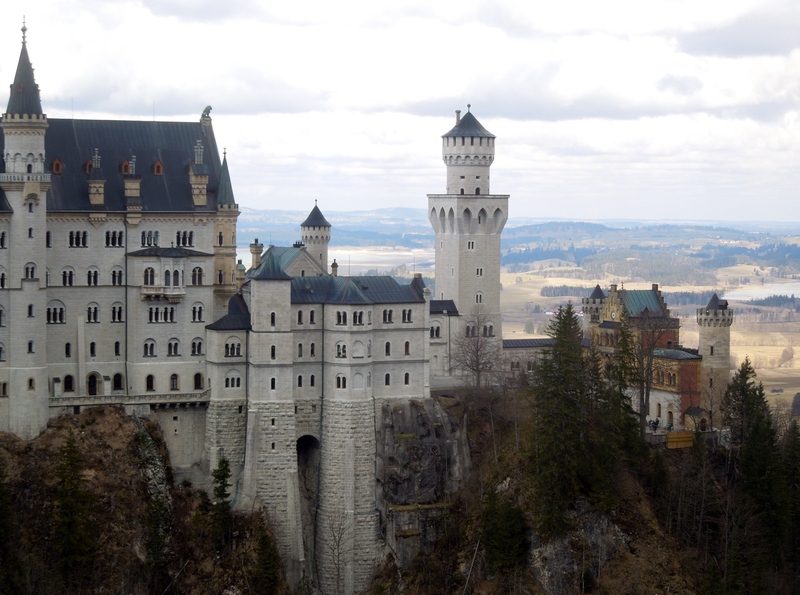 Following the tour, there is a cool gift shop where you can pick up some fun Neuschwanstein souvenirs. I got a hand-blown glass Christmas ornament and some postcard pictures of the castle interior. But oh the walking has not yet ended. 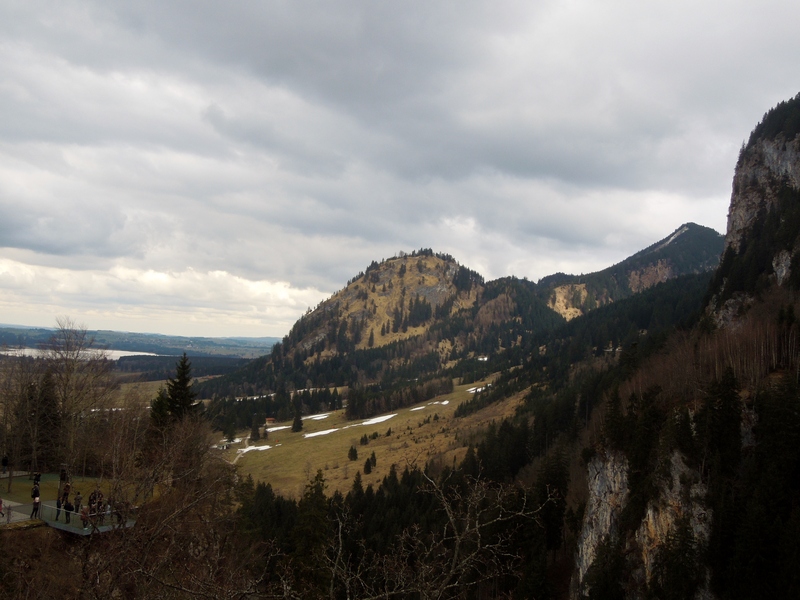 While we were able to take a tram up to the castle, we had to walk all the way back down to Schwangau. 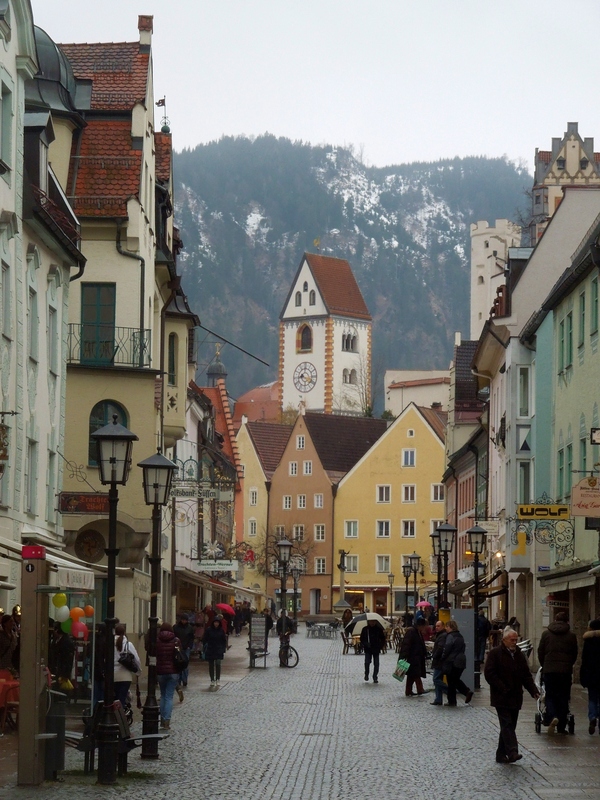 Our tour guide told us what time we had to be back in Schwangau to get on the bus, and then permitted us to shop and stroll our way back at our leisure. 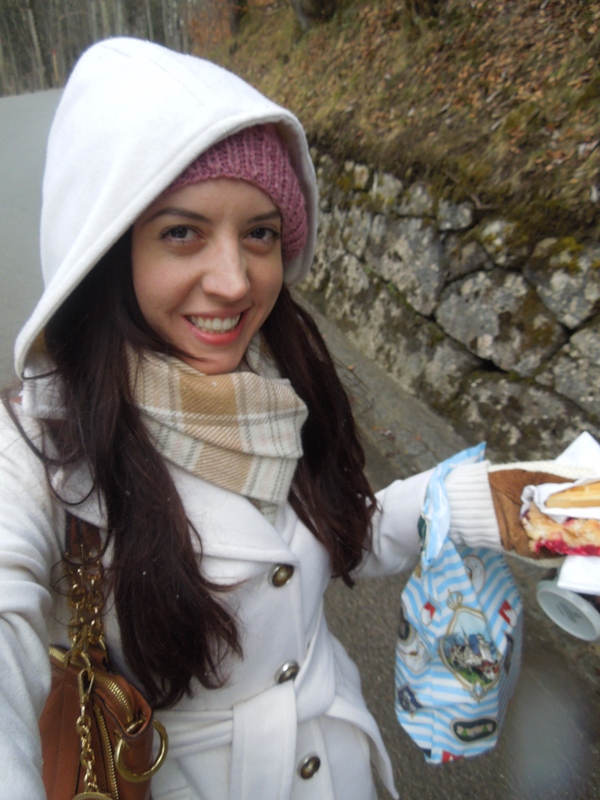 I stopped at a cute little stand and bought some hot chocolate in a souvenir mug and some German cookies to enjoy during the walk. And then something magical happened. It started snowing!! I know that is not a big deal to a lot of people, but as a southern Californian, I had never been snowed on before. I had been to the snow of course, but had never actually experienced seeing snow fall. I was beyond excited. 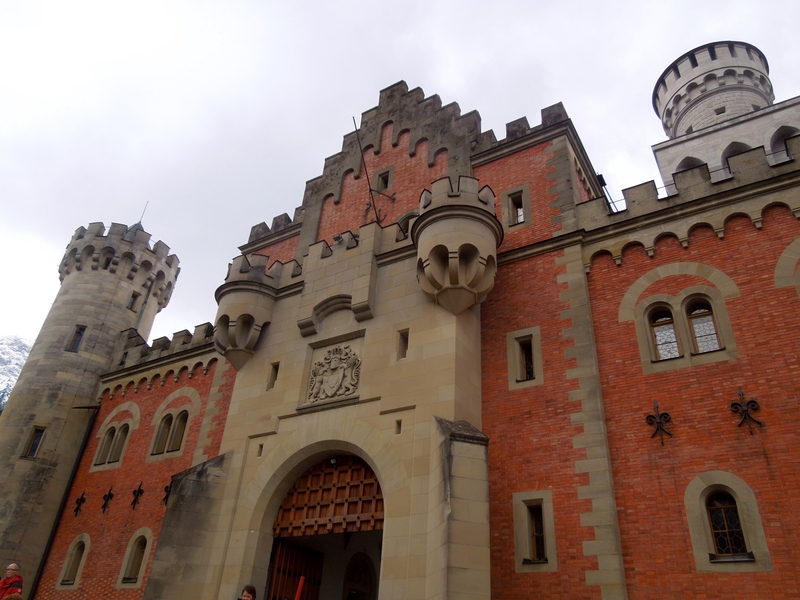 Everything about the castle felt like magic, as if Ludwig II was still creating his romantic fantasy world from beyond the grave. Our tour group eventually all made it back to the bus in Schwangau, but some of the group took too long getting there and made us miss the train in Fussen. 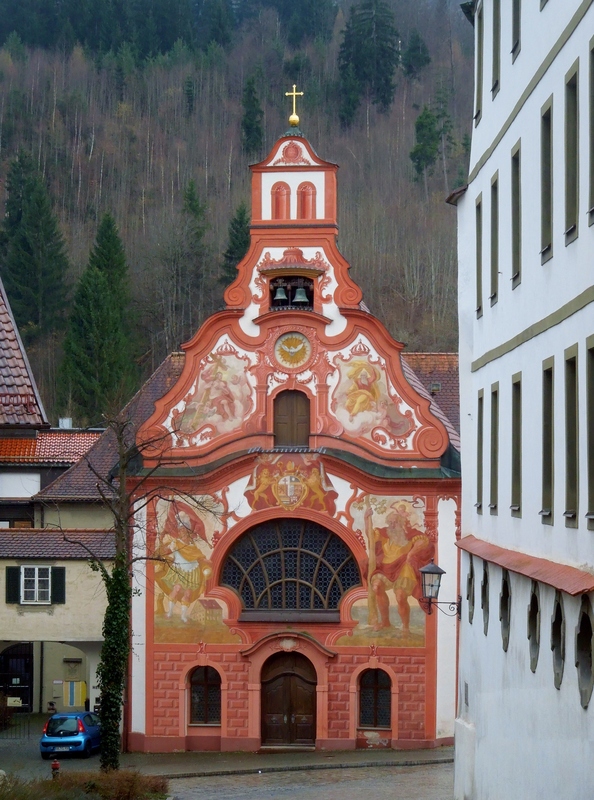 Thankfully there would be another train along in an hour, but until then, we had to kill some time in Fussen. 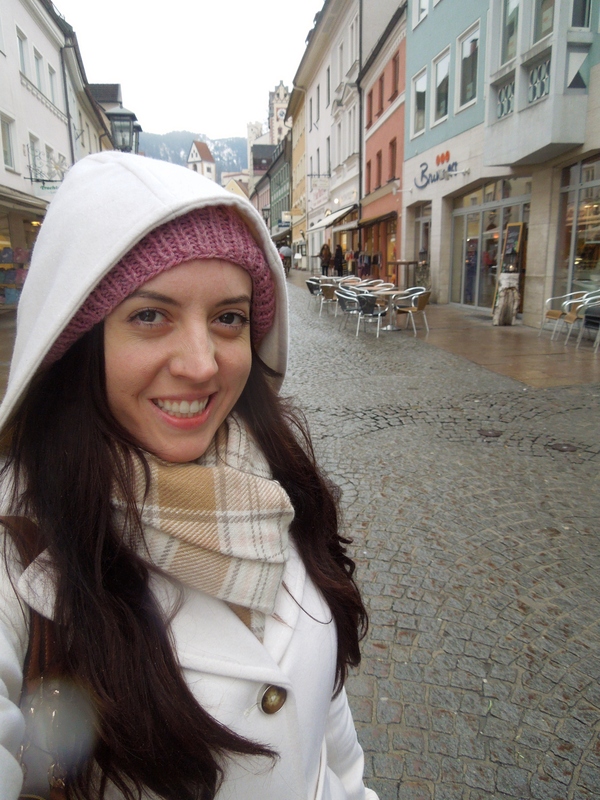 Which normally would’ve been wonderful, because Fussen is a very pretty town with lots of fun shops and stuff, except for the fact that it was freezing and pouring rain. Like I would let that stop me. I still went out and explored anyways. A little rain never hurt anyone (unless you are in an old movie, in which case rain = certain death). 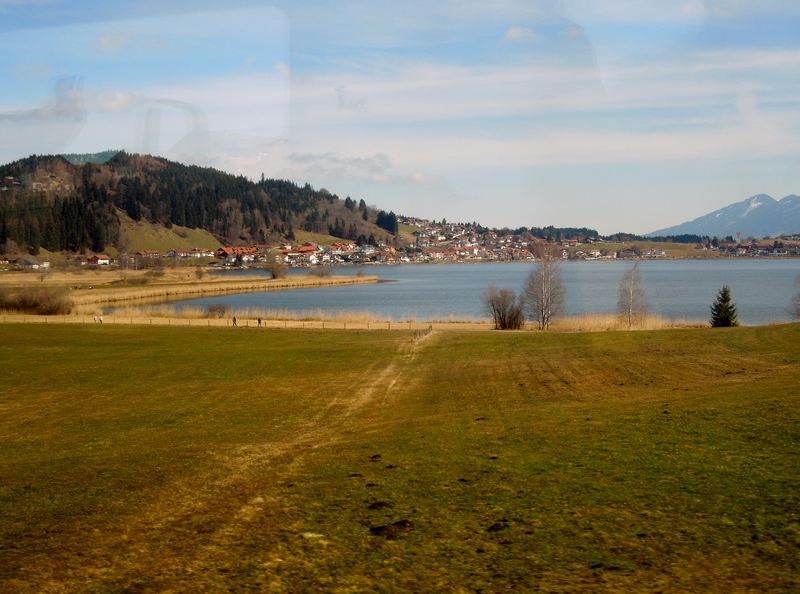 The train ride back to Munich was decidedly less pleasant than the last ride. I was soggy from wandering in the rain, and the train was super crowded. A lot of people even had to stand, which was a bummer since it was a 2-hr ride. 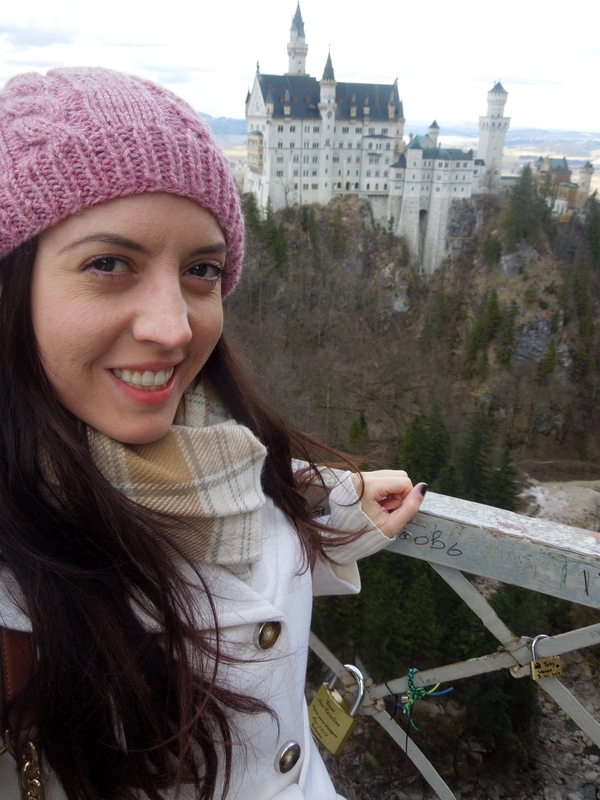 By the time we made it back to Munich, I was starving, cold, and exhausted, but still mesmerized by the magic of the castle. 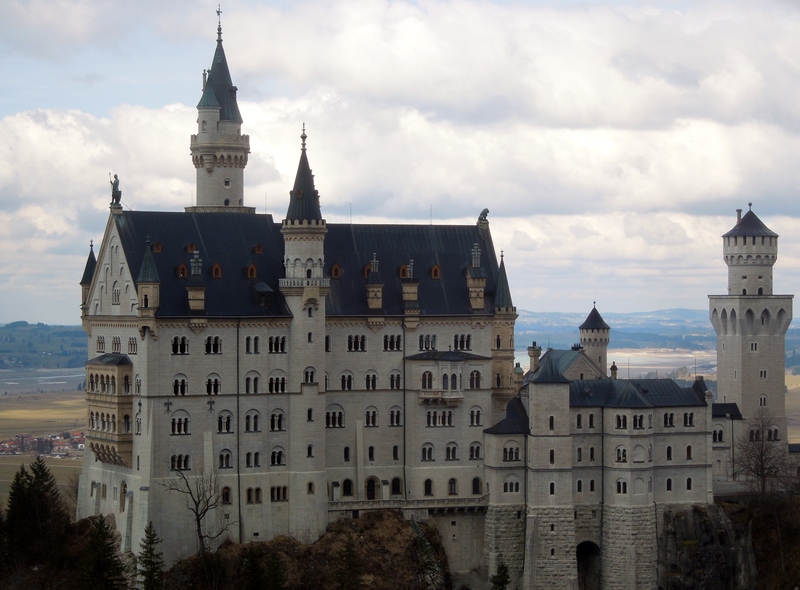 For more information on Neuschwanstein Castle, visit their website. 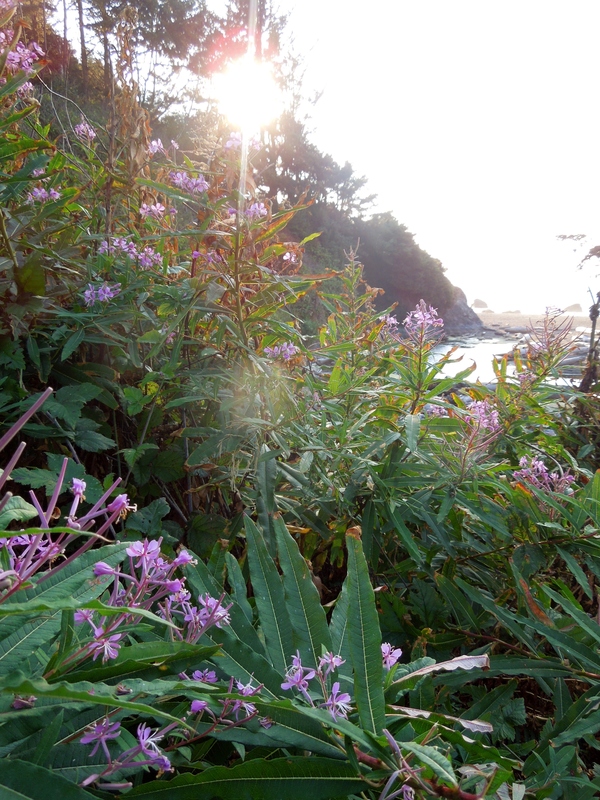 While the park may be famous for its towering redwoods, the coastal section has a beauty all its own and definitely should not be missed. In truth, it was probably my favorite part of the park. The trees are incredible, no doubt, but as a Southern CA girl, my heart always lies with the ocean. 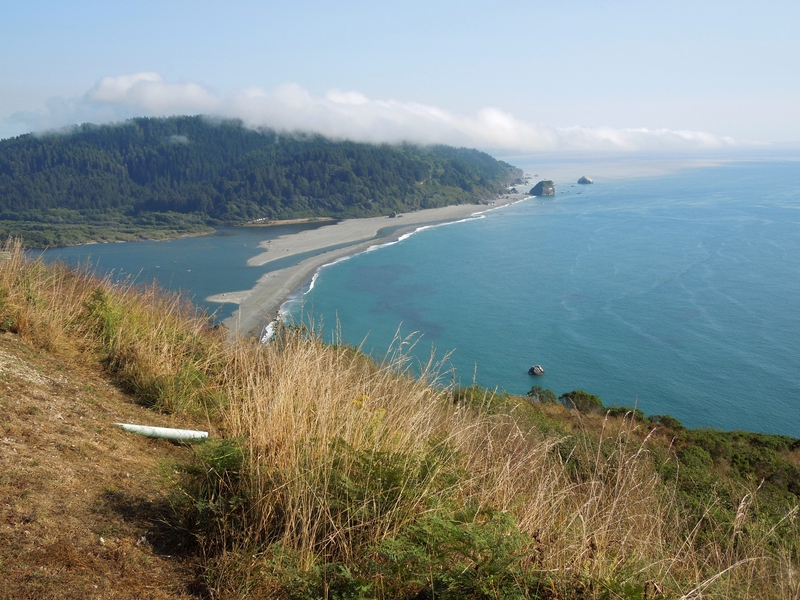 We started our visit to the coast with a stop at the Klamath River Overlook, which is supposed to have awesome whale watching. 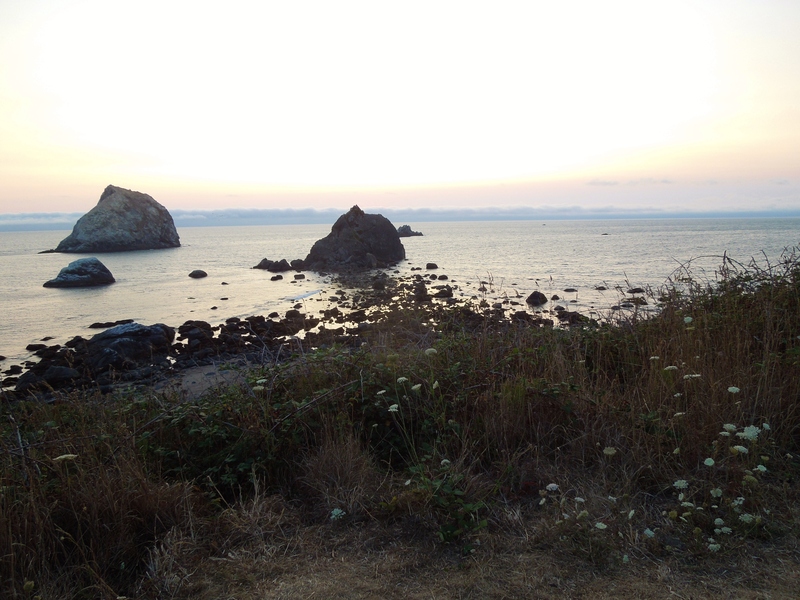 We were not fortunate enough to see any whales, but the views of the coast and the Klamath River sure were beautiful! 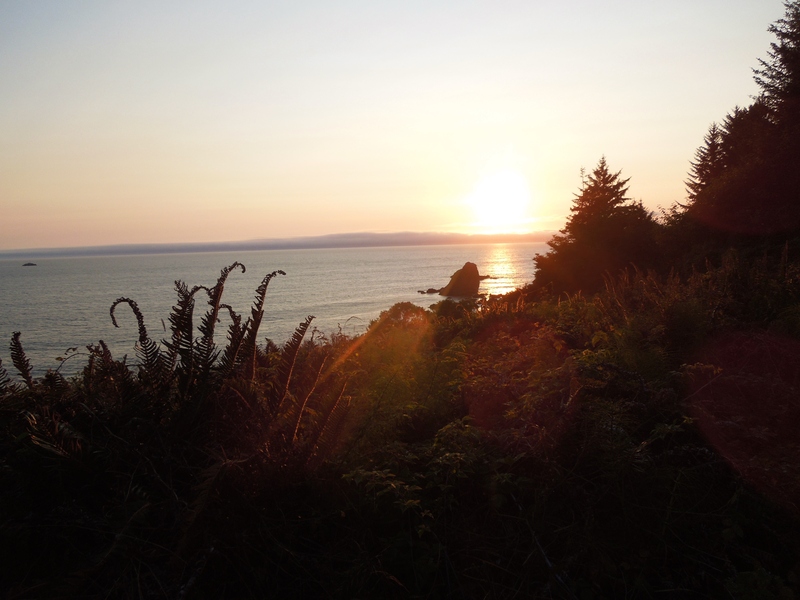 (This was just a drive up and park overlook- no hiking or walking required. And there were quite a few picnic tables available… Maybe a nice picnic spot?). 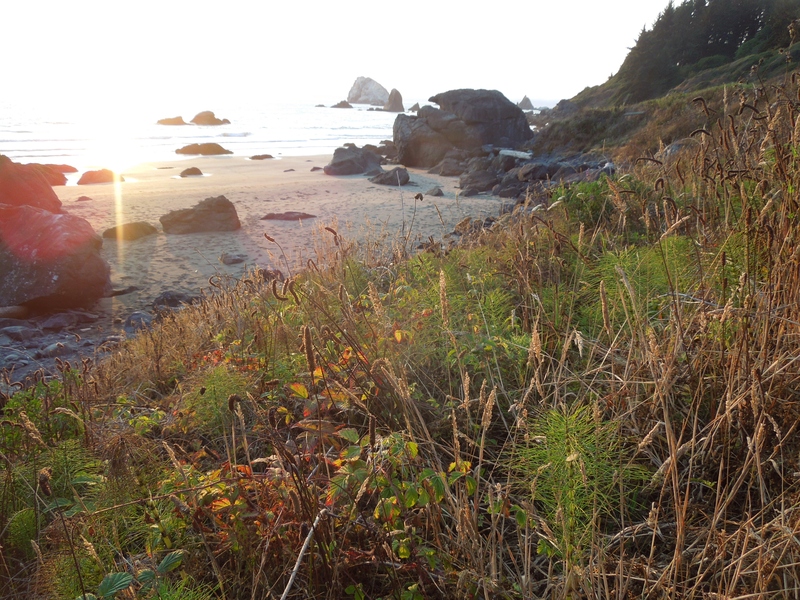 After the whale watching fail, we took a sunset hike to the beach. 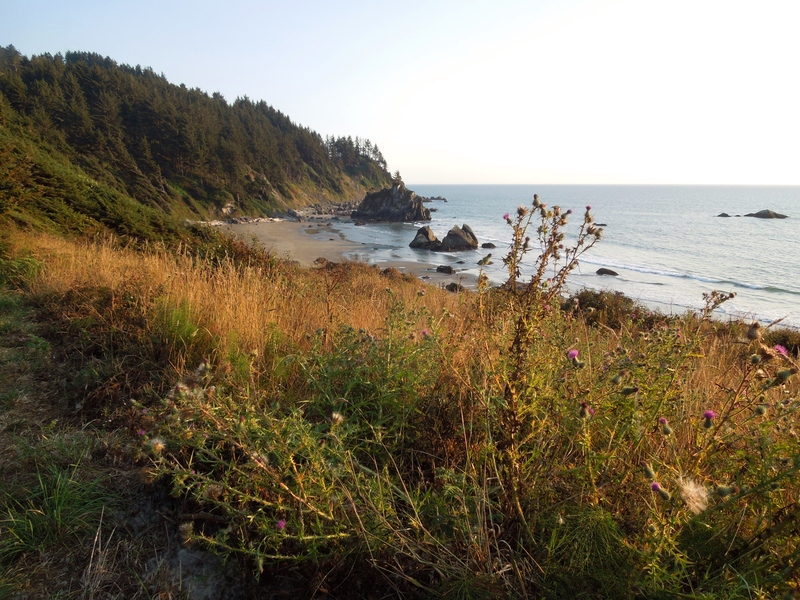 We did the Yurok Loop Trail, which is a fairly easy, 1-mile loop, and is technically listed as part of the North section of the park (not the Coastal section), but I included it here because it leads to, well, the coast. The spur trail to get down to the beach was a little bit challenging to find. It actually may not have even been a real spur trail, but enough people have used it that it sure looks like one. 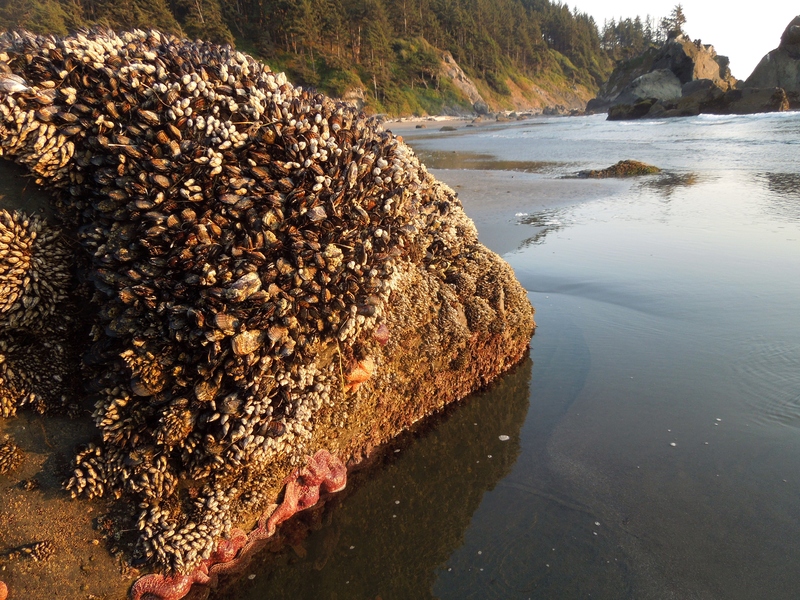 I am glad we found it though, because the beach was AMAZING! 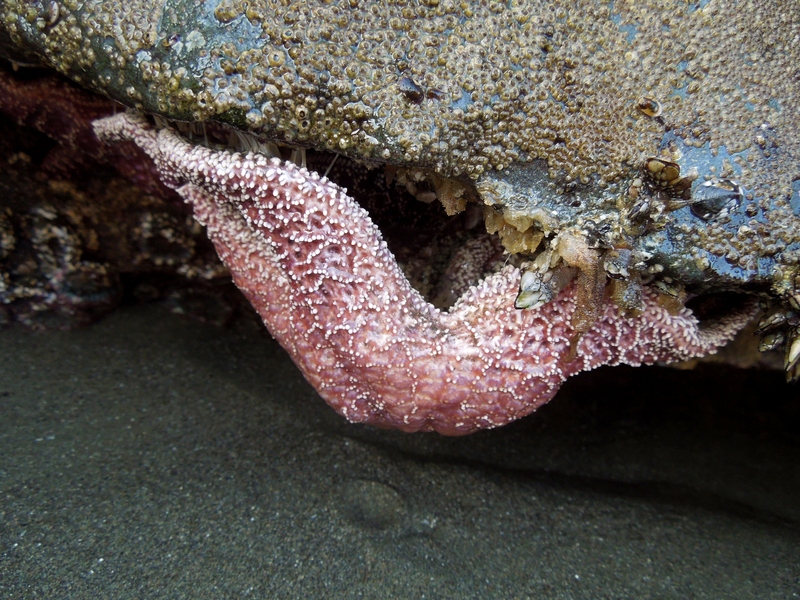 We were super lucky and arrived at low tide (tide charts are available in the ranger stations and visitor centers, in case you want to ensure your arrival at low tide), and the tidepools were super cool! 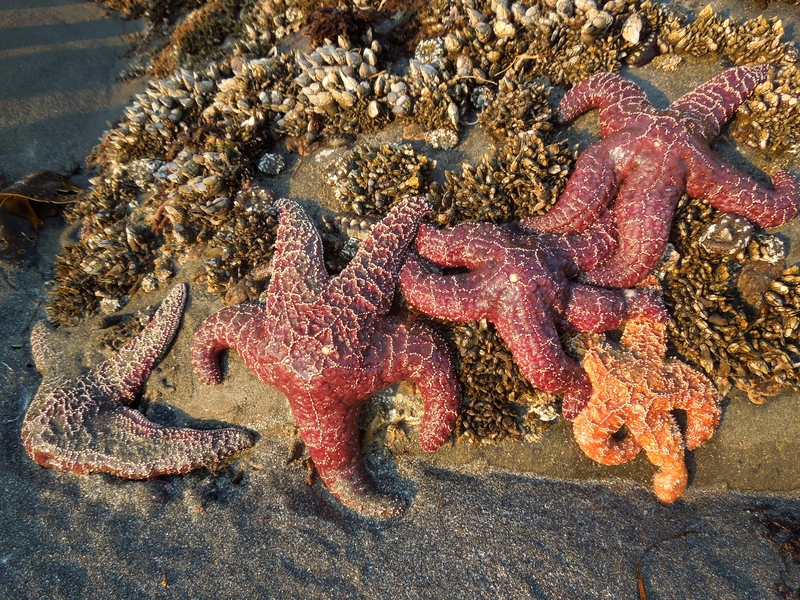 The sea stars were gigantic…bigger than your hand, and a really pretty purple color. Towards the end of the loop, when you are almost back at the parking lot, there are more wild berry bushes with tons of blackberries. Now for some reason the park ranger we spoke with did not recommend this trail, and said it wasn’t very good. Maybe my standards are lower, or maybe she is just crazy, but I thought it was the best trail in the whole park. 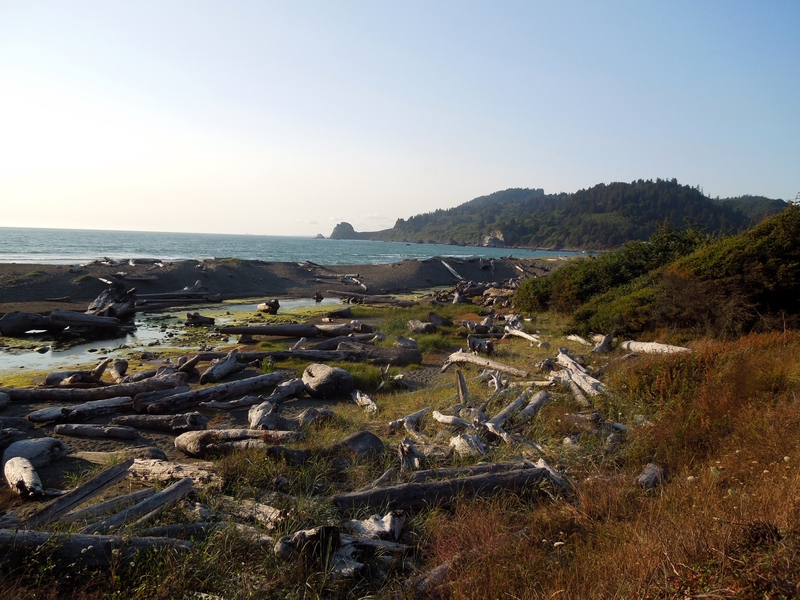 The Yurok Loop Trail can be found on the park’s hiking guide for the North section, but for a listing of all the official Coastal section trails, click here. 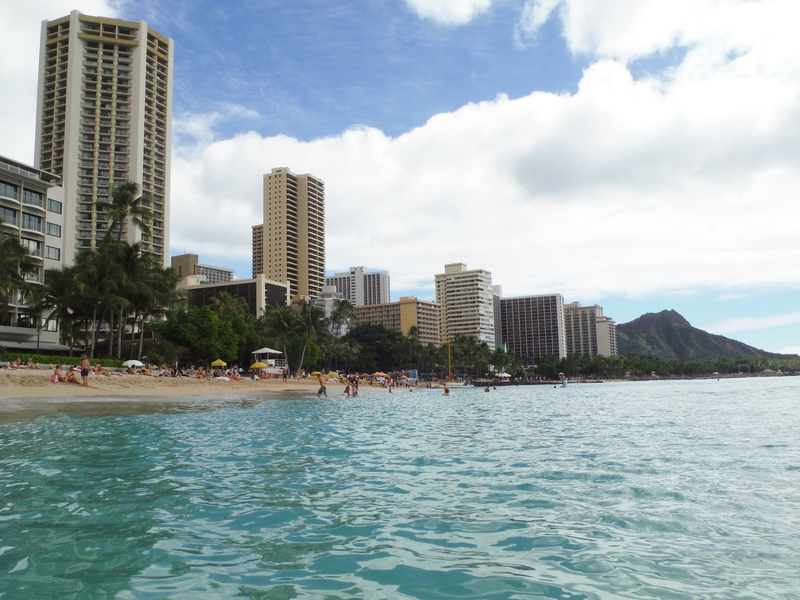 No trip to Oahu is complete without a visit to one of the most famous beaches in the world: Waikiki! 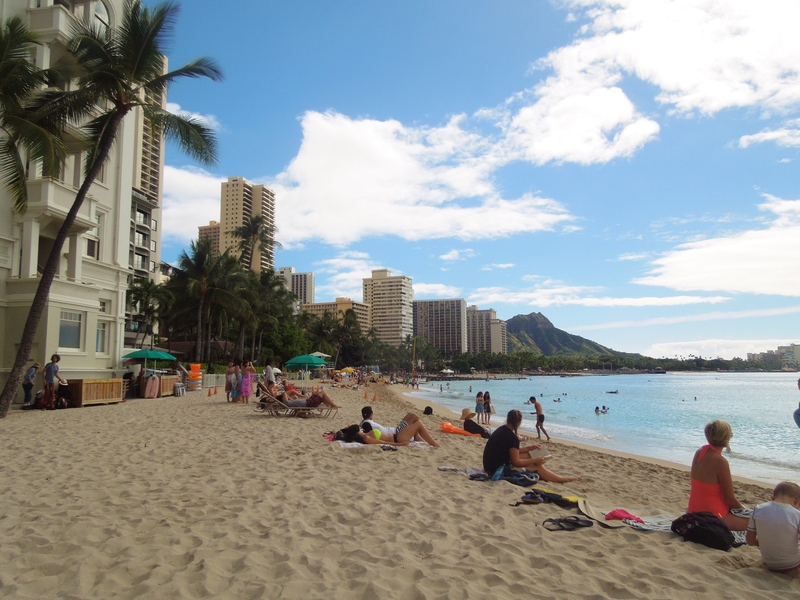 Hotels right on the beach are crazy expensive, but luckily there are plenty of more affordable options a few blocks inland, all within walking distance of the legendary beach. On the walk to the beach there are many shops and restaurants, where you can buy anything from cheap souvenirs to designer duds. 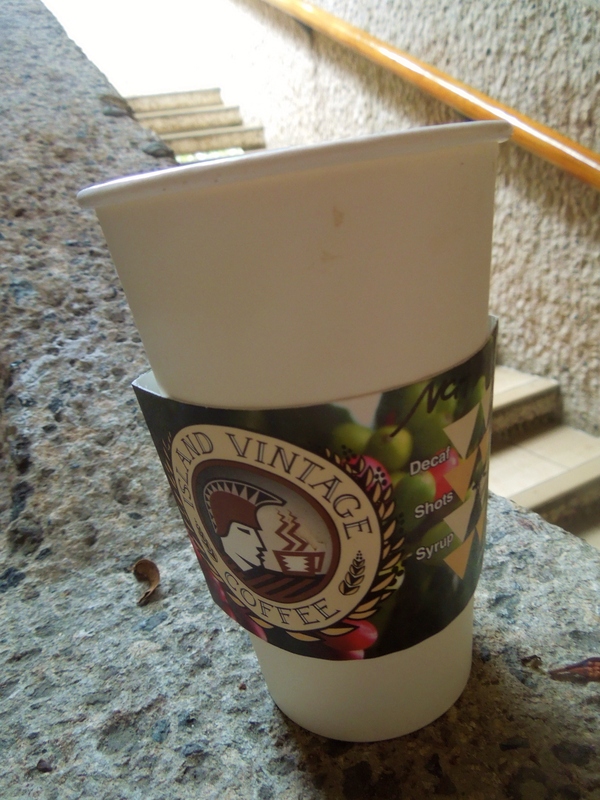 We made a pit stop at Island Vintage Coffee, which served the most tasty coffee beverages, as well as lots of delicious and natural food offerings. We grabbed some stuff to go, and headed to the beach! Yay! 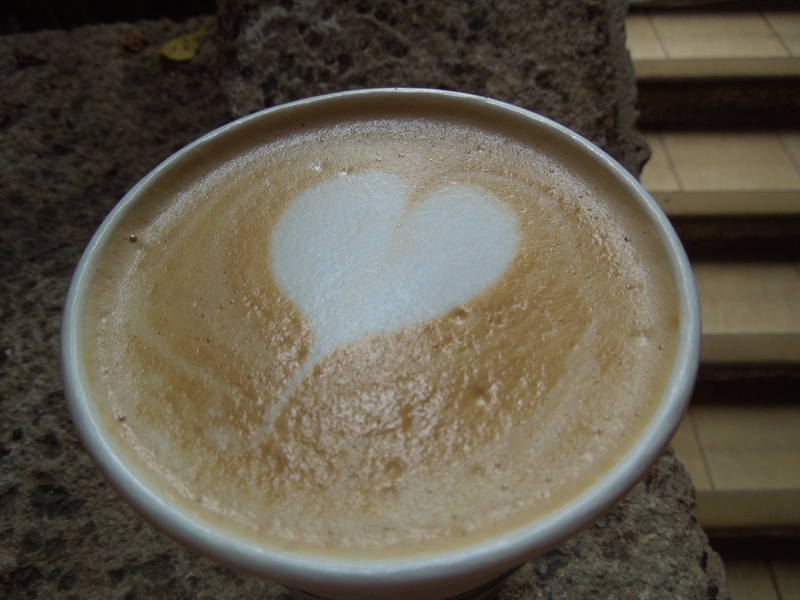 Coffee on the beach = perfection! 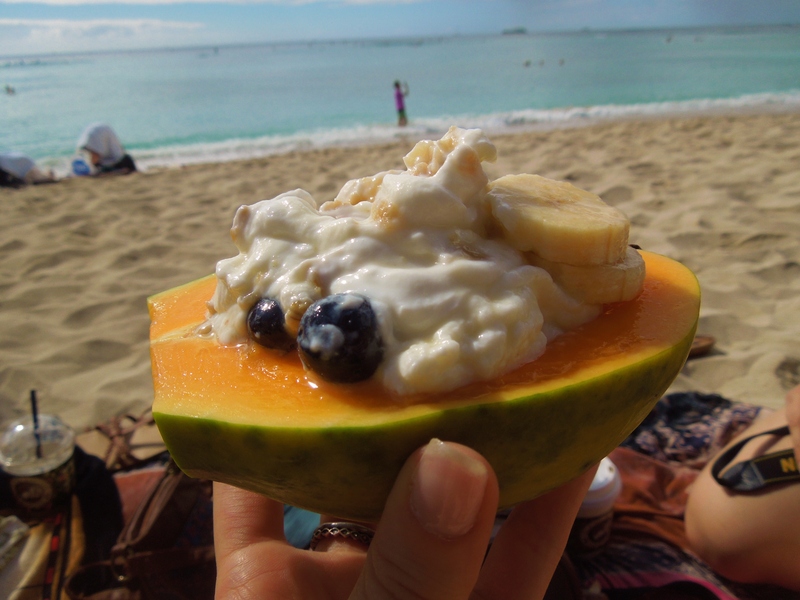 We bought this delicious papaya filled with Greek yogurt and fruit at Island Vintage Coffee… it was one of the best breakfasts I’ve ever had! Even in December, the water was still warm enough to enjoy swimming in, especially since the sun was so hot. Definitely not “bath water” warm though. 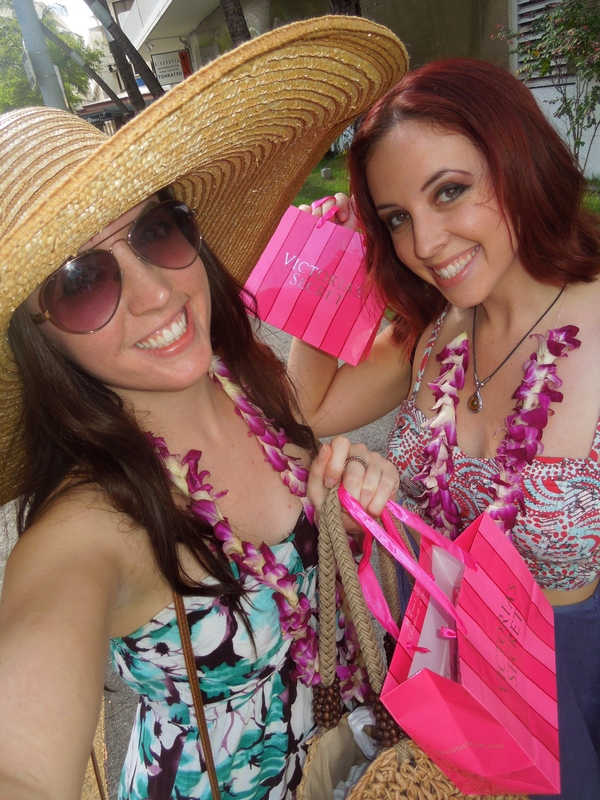 After the beach, we did some shopping! I know I can shop at these places back in LA anytime I want, but there is something fun about doing it on vacation. And now the purchases double as souvenirs. This place was easy to find and had awesome reviews. 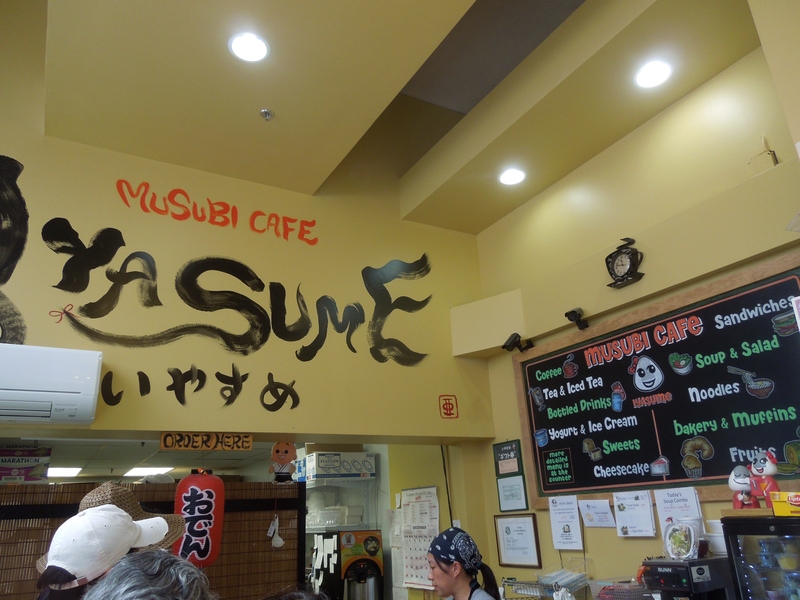 And the reviews were right…this spam musubi was delicious!!! When visiting Hawaii, you kinda just have to try some sort of food with SPAM in it. Personally, I love SPAM, and don’t care what it is made of. That stuff is tasty! Especially when made into spam musubi. Such a beautiful sight… and at less than $2 per spam musubi, we bought a whole bag full of them! And then took it to the beach for a little picnic. 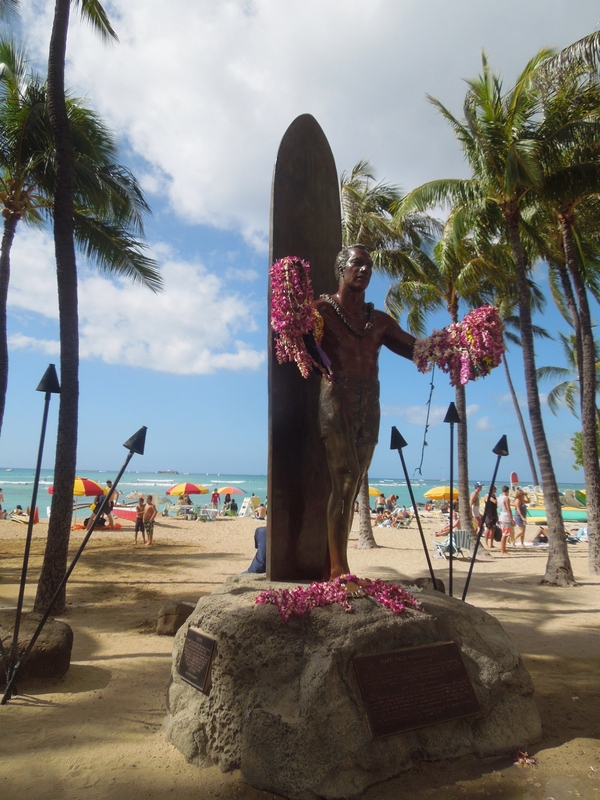 Another one of the iconic images of Waikiki- a statue of Duke Kahanamoku, the man known as “the father of modern surfing”. 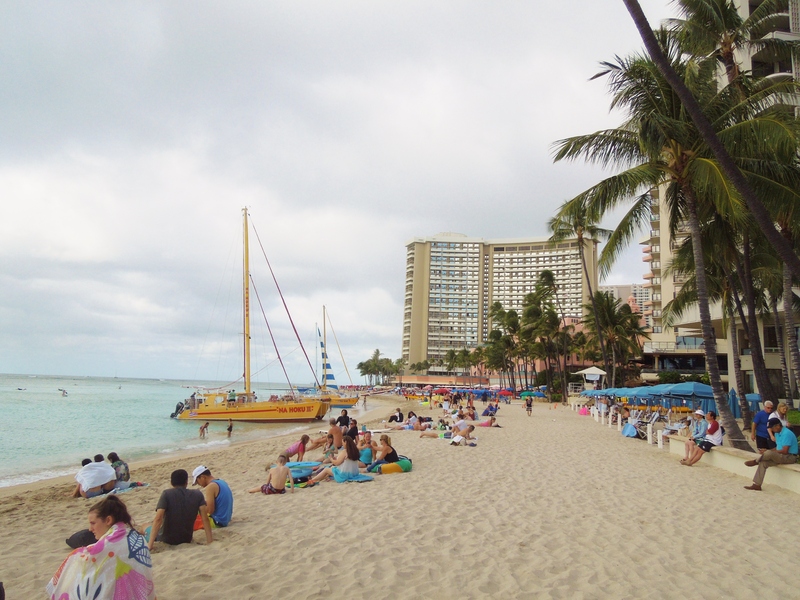 Waikiki is a beautiful beach. 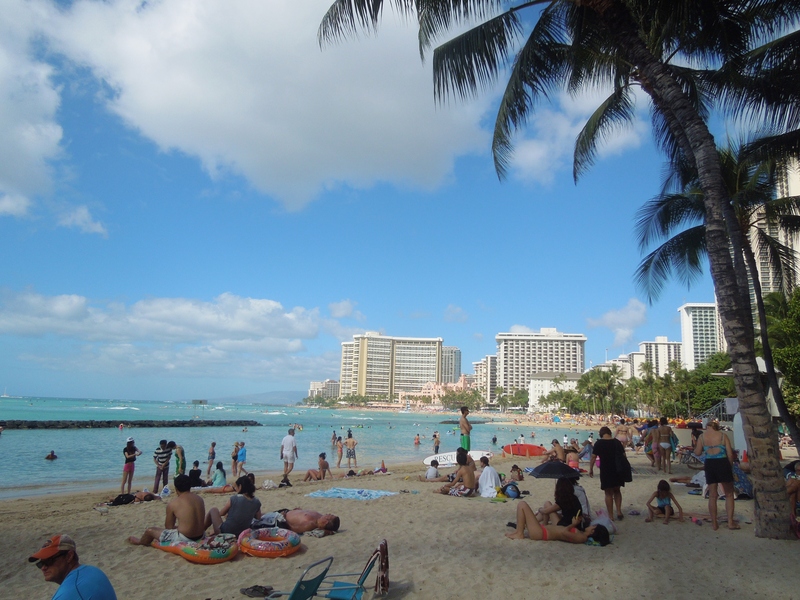 However, it is also a very crowded and commercialized beach, crawling with tourists. 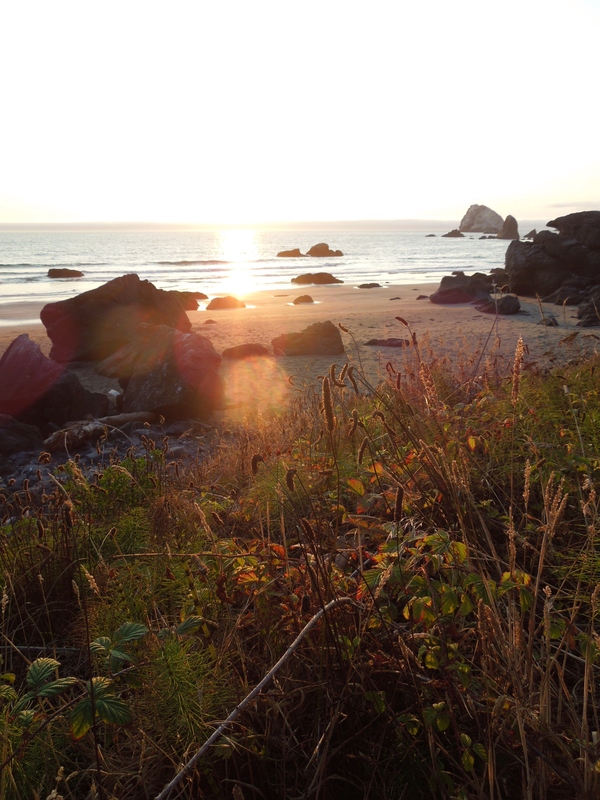 For a more serene and relaxing experience, perhaps consider trying a different beach. 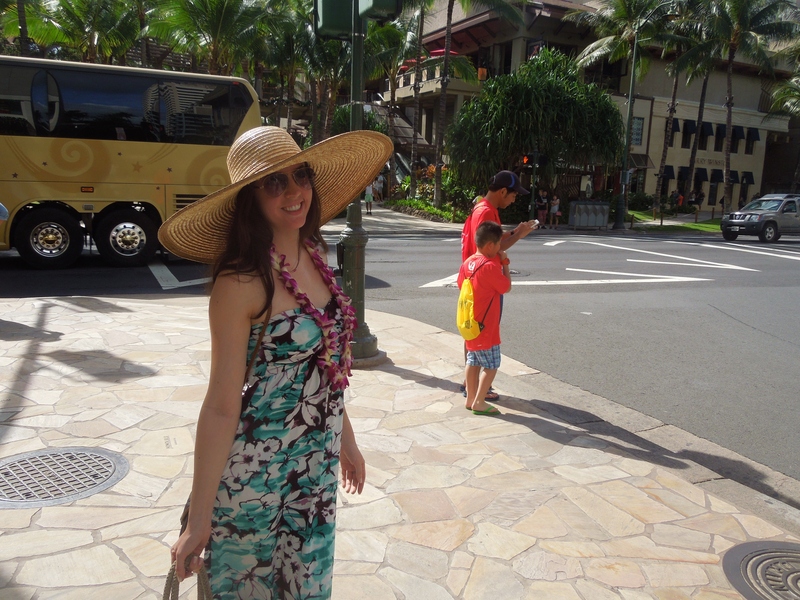 Waikiki is best visited basically for bragging rights, and being able to say you have been to Waikiki. 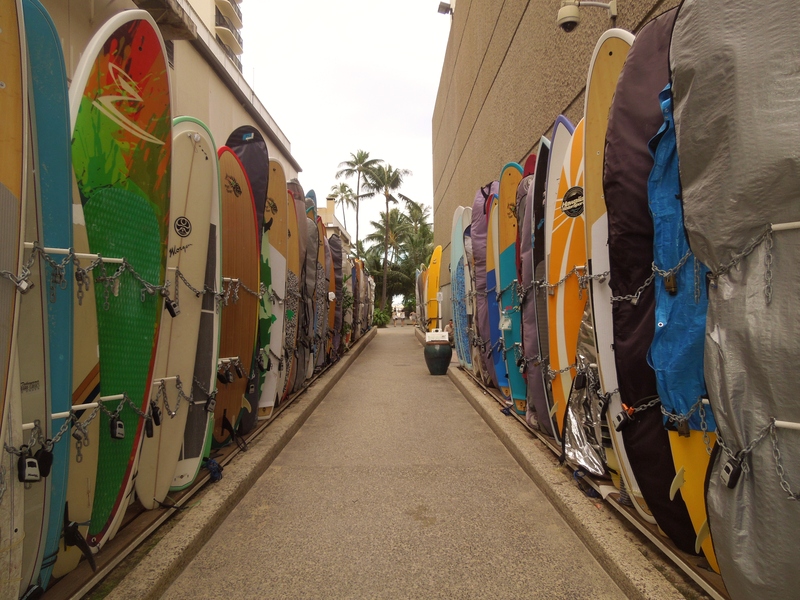 But still definitely a must-see on Oahu, so don’t head home before setting foot on the famed shores of Waikiki! 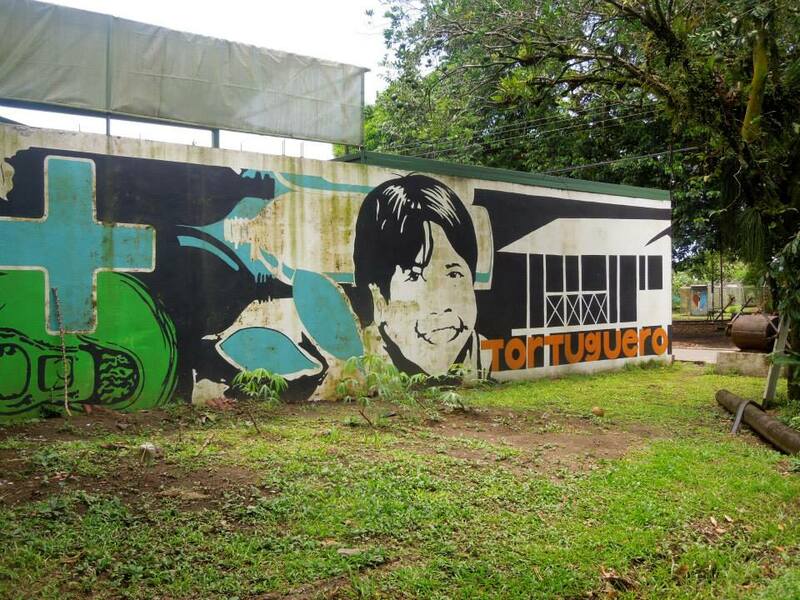 Since our time in Costa Rica was limited, we decided to make San Jose our home base for the week and book daily tours to see different parts of the country. 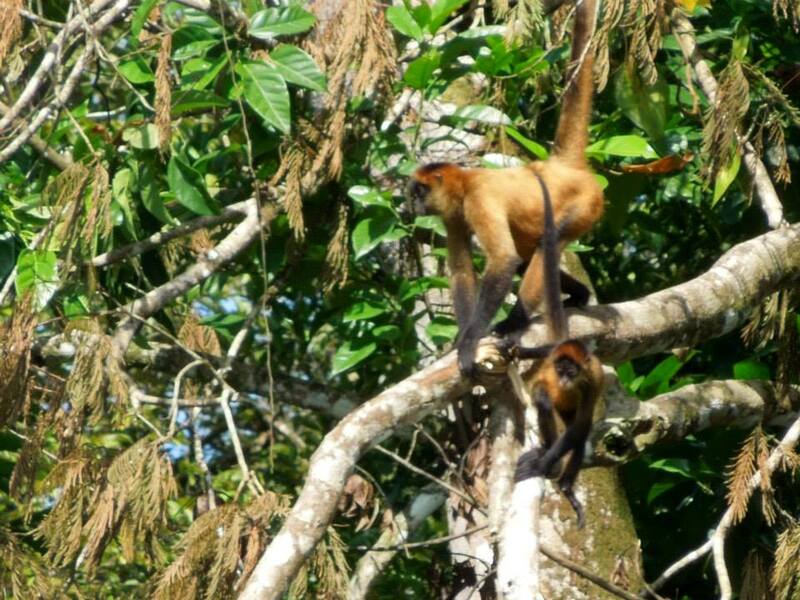 We found a 1-day tour to Tortuguero National Park through Viator. 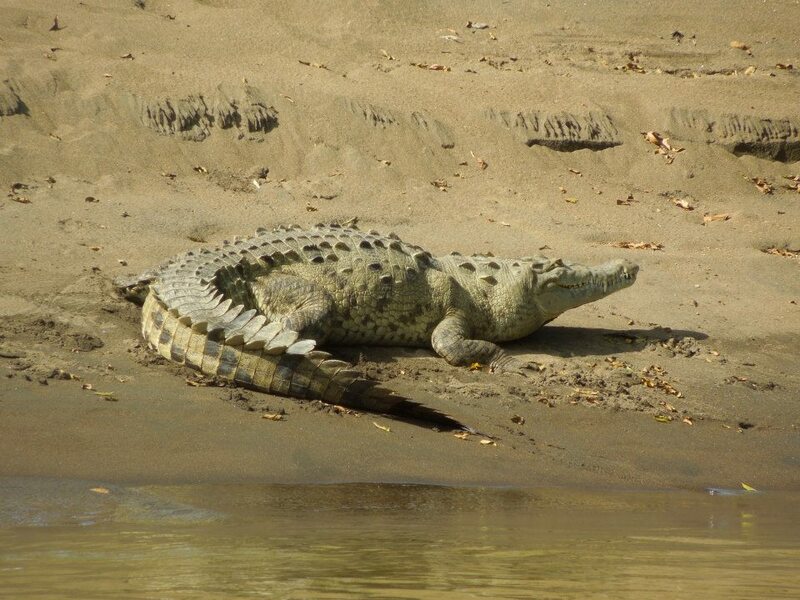 Our guides picked us up at our hotel at the crack of dawn, and drove us to the boat docks. 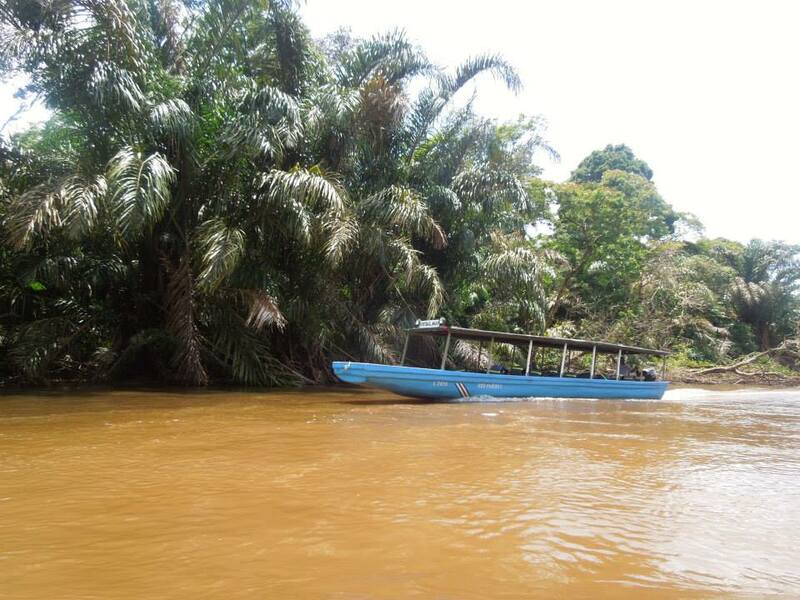 The park is only accessible by boat, so we set off on a river cruise through the rainforest! 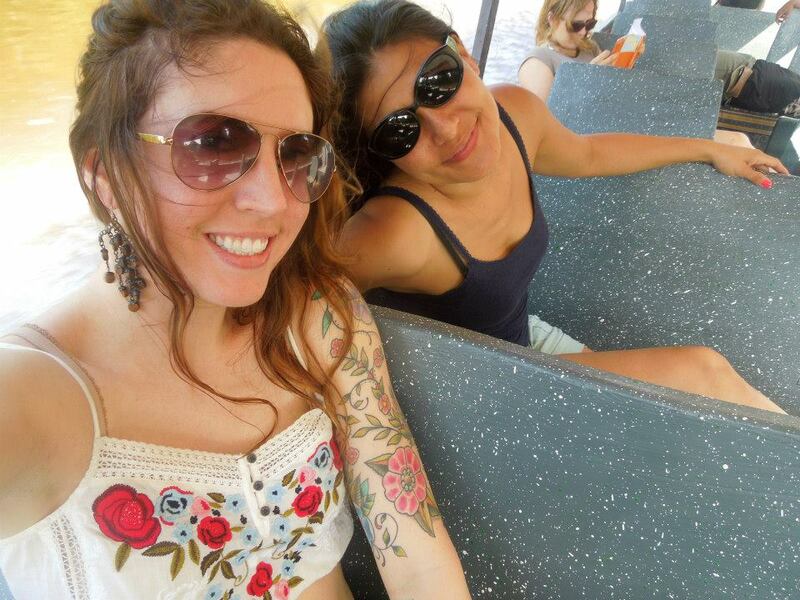 If any of you have ever been to Disneyland and rode the Jungle Cruise, I swear, it feels exactly the same.. Except real. 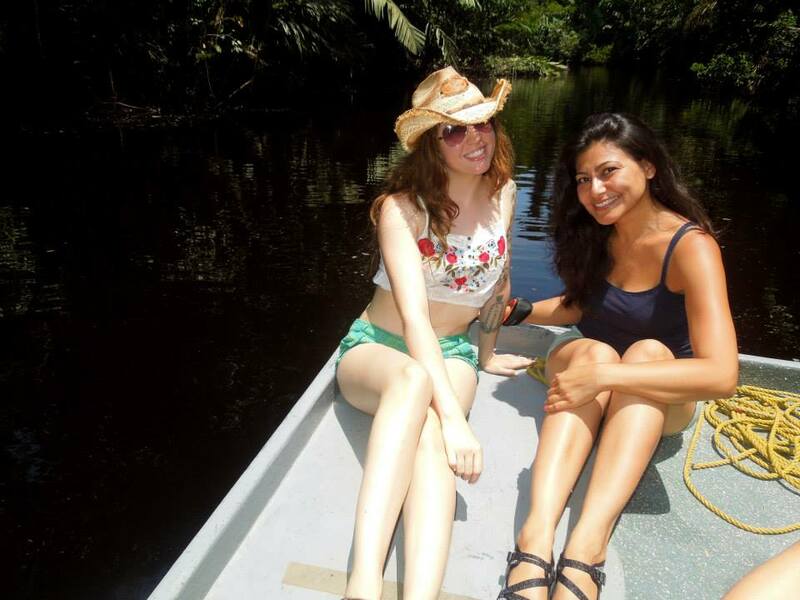 Our guide let us sit on the front of the boat… that was pretty awesome. 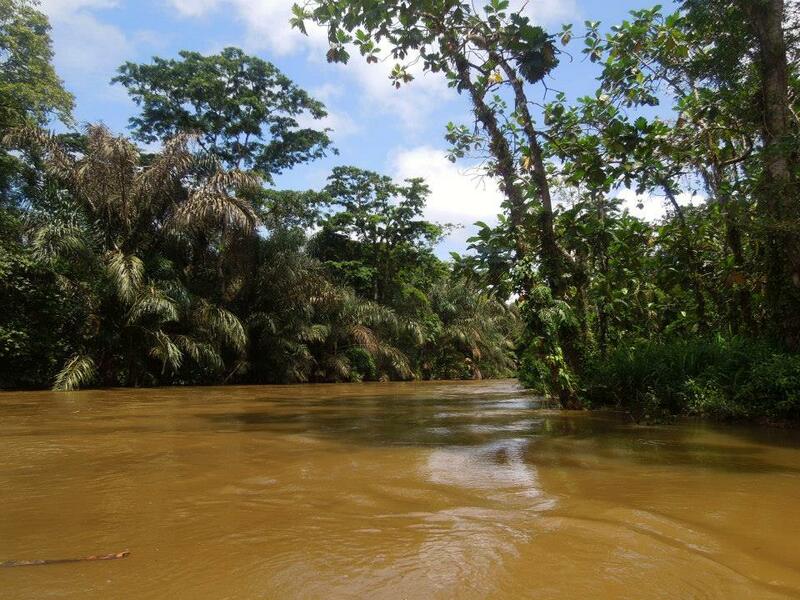 After about an hour and a half of cruising the river, we arrived at Tortuguero! 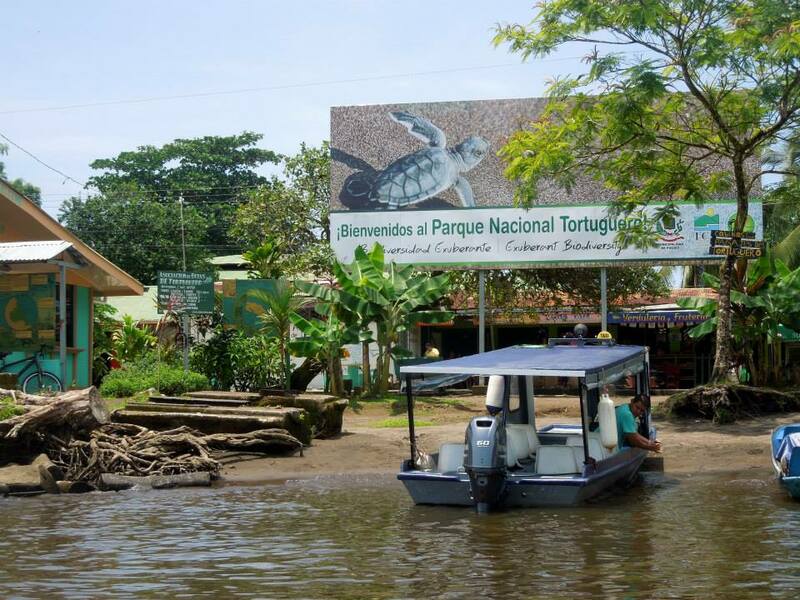 Upon landing at the docks, we had to walk through Tortuguero village to get to the beach. 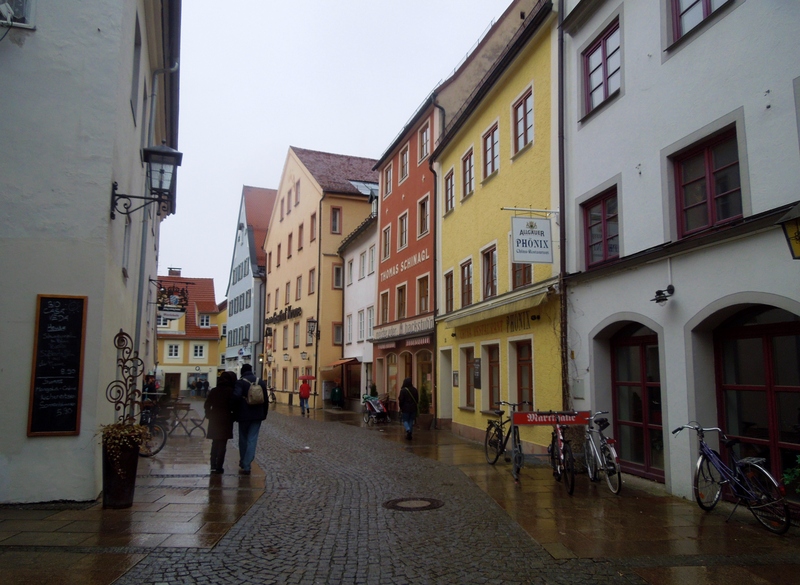 The village was quaint, and filled with shops. I would’ve liked to spend some time there looking around, but alas, we were on a tight schedule. So on to the beach! 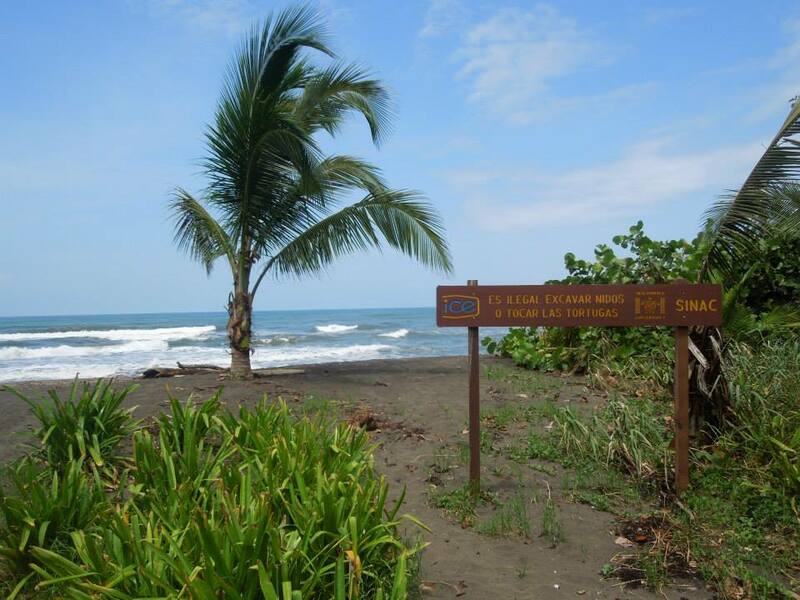 Tortuguero National Park is located on the Atlantic Ocean side of the country, and the weather and the water were absolutely beautiful. During certain times of the year, green sea turtles use this beach as a nesting ground (hence the name of the park) and the beach is off limits. 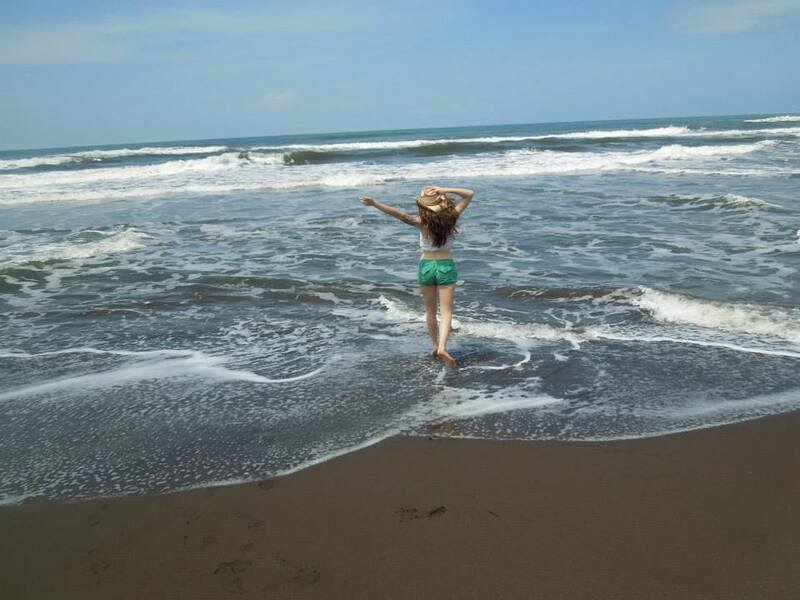 But this was not that time of the year, so we were able to splash around in the ocean a bit. It really would’ve been cool to see the turtles though. After our fabulous (albeit brief) beach time, we hopped back on the boat and traveled to one of the many eco-lodges in the park. The lodge offered access to a crazy awesome hiking trail entirely on boardwalks and hanging bridges. This, for me, was probably the highlight of the park. We saw so many animals, and the hanging bridges were so fun to walk on! I would highly recommend this tour to anyone who has a day to spare when traveling to San Jose! 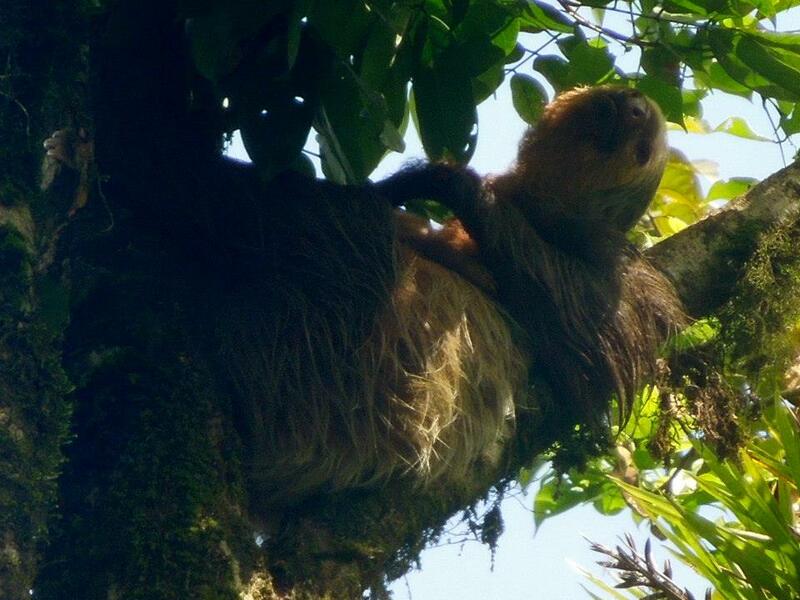 Even though we didn’t get to see the sea turtles, there was so much other wildlife, and the river cruise and rainforest hike were both delightful! It was definitely hot though, so be sure to pack lots of sunscreen, water, and a hat! Especially if you have a Celtic complexion like me haha.